We’re happy to share big news with you. 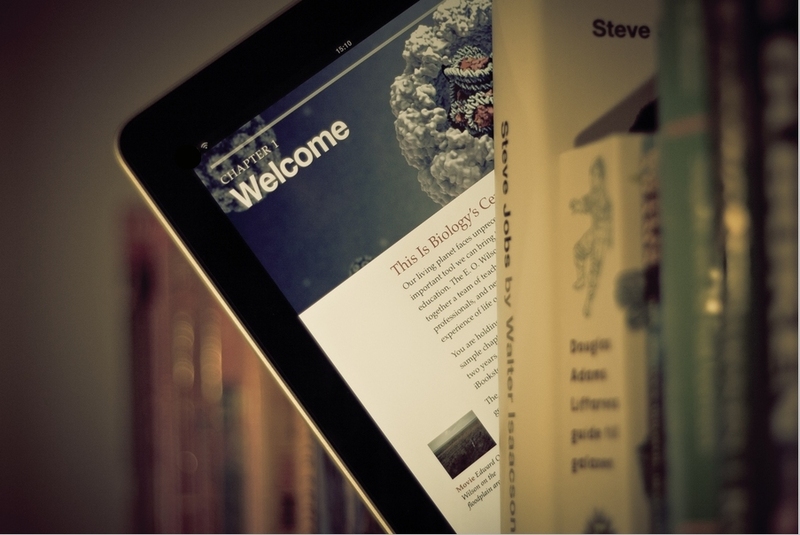 March 2 – 8, 2014 is a “Read an E-book Week” so it’s a perfect match. Form now on you can update your reading status straight from your Kindle. 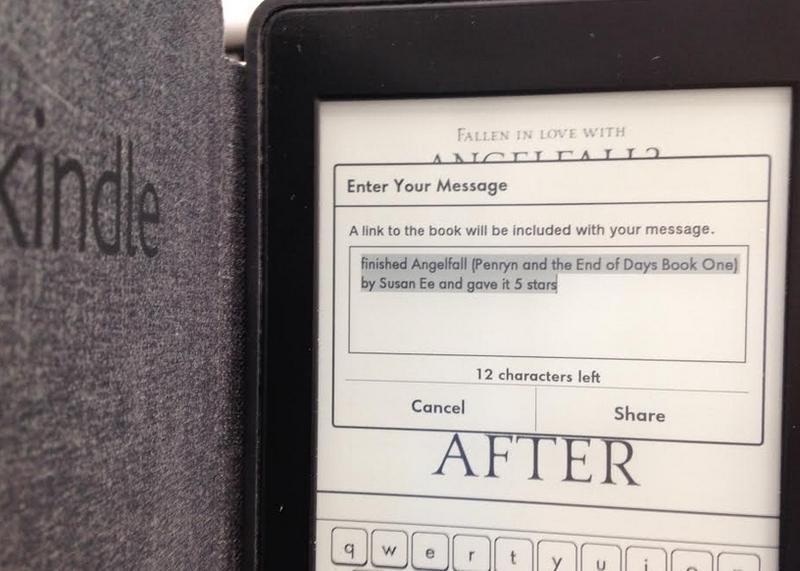 Update your Shelf and ebook reading progress from any place you read and keep your BookLikes followers up to date. To make sync happen just connect your Twitter account on your Kindle and BookLikes and switch ON synchronization in BookLikes Settings. Then when you share your Kindle reading status on Twitter, it will be also updated on your BookLikes account. 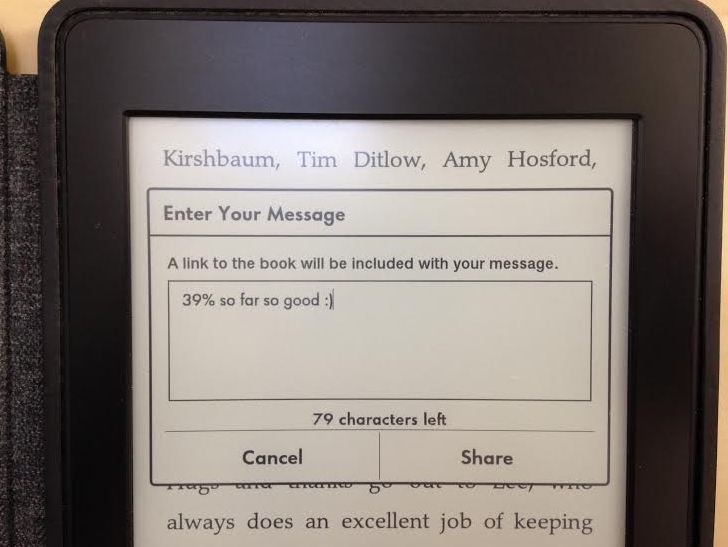 To share your reading progress press Share on your Kindle and enter how many % have you read, e.g. 10%. If you publish only percent of read book, the reading progress will be updated on your BookLikes Shelf. If you add a comment after % in your share from Kindle to Twitter, the “Reading progress update” will be published on your blog with your note. 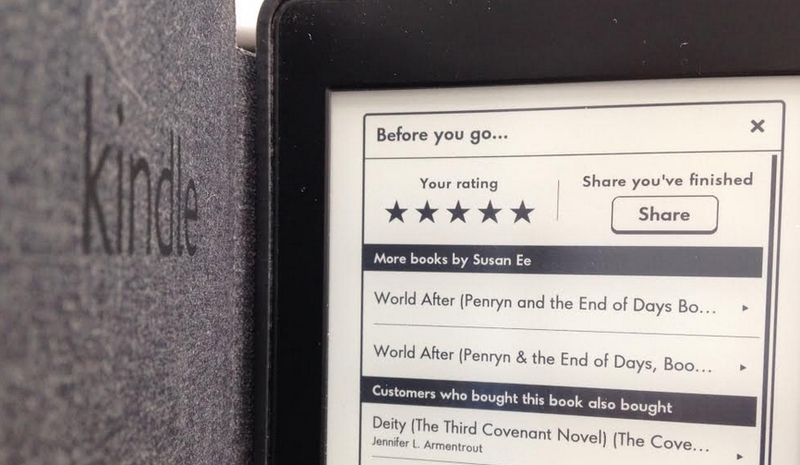 Don’t forget to rate read ebooks. After finishing Kindle ebook, rate it and share on your Twitter. The book will receive new status (Read) and ratings on your BookLikes Shelf. Remember that Reading progress sync works for Kindle ebooks only. If you would like to share our news, have a look at our Press Page where you’ll find BookLikes Press Releases and logo.